Will the passion for classic Land Rover Defenders ever die? We hope not, especially after taking a closer look at this gloriously green Defender with the curious name Drogo. Arkonik is the company behind this custom Defender, and while there’s no specific mention to George R.R. Martin’s epic saga Game of Thrones, the build seems to pay homage to the infamous character of the same name. In the HBO adaptation, Khal Drogo died in the first season but he still endures as a fan favorite. We can certainly see some parallels here to man and machine. Name notwithstanding, what makes this Defender so cool? 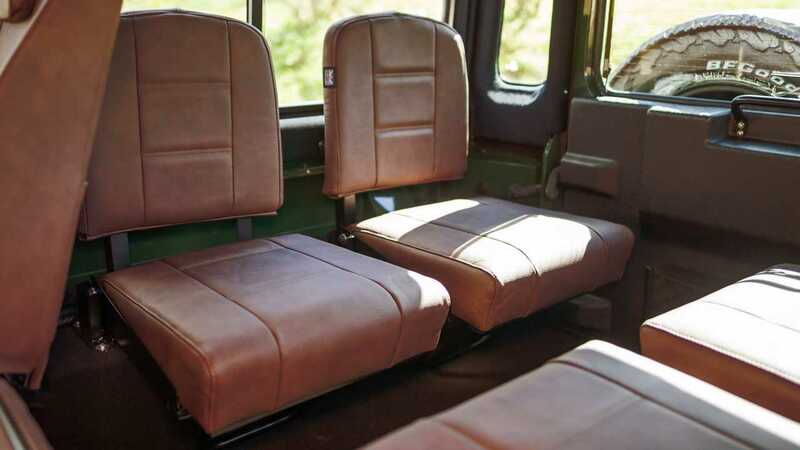 It’s built from a 1993 D110 model so there’s impressive space inside for passengers – specifically seating for nine – and the accommodations are bumped up thanks to snazzy leather with heated seats in the front. The original Defender’s personality still shines through, but tech upgrades such as a touch-screen display with a reverse camera add a modern touch. The real work happens outside and underneath, beginning with a Terrafirma suspension upgrade that also delivers a two-inch lift and an upgraded steering damper. It rides on a set of 18-inch Kahn alloys fitted with meaty off-road tires, all of which are powered by the Defender’s original diesel engine and five-speed manual transmission – albeit completely rebuilt. Arkonik actually performs a full restoration down to the frame on its models, and the end-product is basically a brand new Defender with a few improvements. Of course, those improvements are in full effect for Drogo’s exterior as well. A custom grille and an Arokonik A-bar with LED lights reside up front, not to mention the big winch nestled in there. There are more lights on the roof, specifically rectangular LEDs as well as rear-facing LED work lights. It’s all incorporated into a nifty roof rack for storage, and naturally, there’s a snorkel for the engine so Drogo can breathe while swimming. 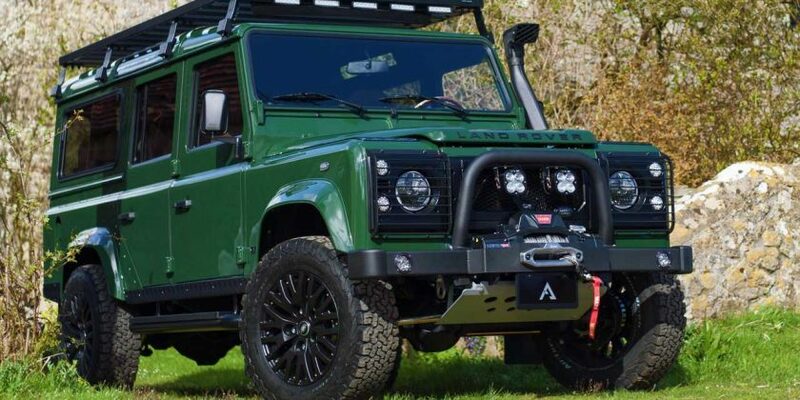 UK-based Arkonik has been restoring and upfitting Defenders for over 10 years. We often see reborn Land Rovers sporting all kinds of mechanical changes, but it’s refreshing to see a build that strives to retain much of the original Defender mechanicals. Arkonik is happy to build more Drogos for interested buyers, and the company has a strong sales network in the United States. This level of work doesn’t come cheap, however – pricing is estimated at $190,000.